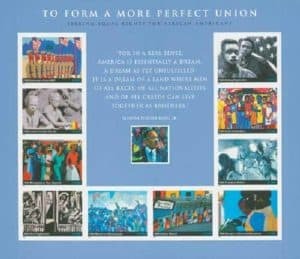 With today being Martin Luther King Jr. Day, we are looking at the More Perfect Union First Day Cover Set. The offering is by The Washington Press. 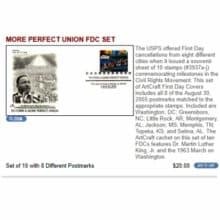 I’m seeing this More Perfect Union First Day Cover (FDC) Set which includes one cachet commemorating Dr. King, Jr. I’m showing below. Back on October 26, 2018, The Washington Press announced closing their business after 85 years. Their latest November 14, 2018 update shares they are not accepting any further sales. 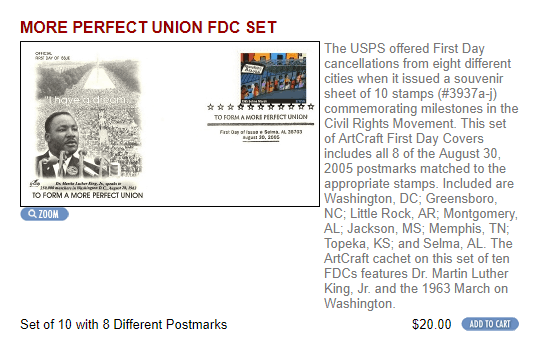 The reason I’m blogging about it is to capture the existence of the More Perfect Union First Day Cover Set they have been offering. See you tomorrow. Stay warm! USPS The Link – The list: 4 stamp offerings that celebrate MLK, Jan. 9, 2018 at 2:18 p.m.